It’s nice to see new directions in the smartphone market and the Moto X definitely marches to the beat of its own drum. There are plenty of tempting features on offer, but as we found in our Moto X review, new devices frequently have a few kinks and bugs to work out. In this article we’re going to explore the dark underbelly of Moto X problems and see if we can find solid solutions to beat them. Updated on 3-17-2014 by Simon Hill: Added overheating problem, Bluetooth glitches, and voice cutting out bug. 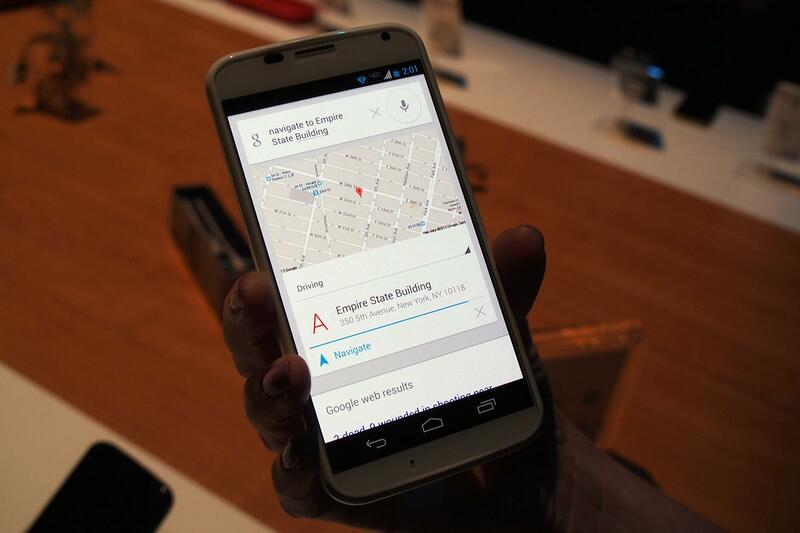 A lot of people have been reporting issues with their Moto X getting hot to the touch. It can become uncomfortable to handle and there’s no consistent trigger for it. If this is happening to you and it’s not because you’d had the screen on continuously for a long time, because you’ve been charging the phone, or because you’ve been playing a graphically intensive game, then there are a few things to try. If you have a case on the Moto X then remove it as it will exacerbate any overheating problem. Try switching Airplane mode on and see if the problem persists. It may be related to the Moto X trying to connect to your network or maintain a signal. It could be an app causing the problem. Take a look in Settings > Battery to see if anything is eating a suspiciously high amount of power. You can check if a third-party app is responsible by trying Safe Mode. Press the power key and then touch and hold on Power off until it reboots. You should get a window titled Reboot to safe mode and you can tap OK. You’ll know it worked because it will say safe mode in the bottom left corner. If it runs fine without overheating then one of the apps you installed is probably responsible. The fast method to get rid is to factory reset and then selectively re-install. Alternatively you can uninstall apps one by one until you find the culprit. There have been reports of a few issues surrounding pairing devices and car systems with the Moto X via Bluetooth and with audio output on paired devices. Some people claim that the audio continues to come from the Moto X, even though it is paired with a Bluetooth device. If it’s an older Bluetooth device it might not be supported. Check the protocols that are covered and make sure it is compatible. Some people have run into problems with voices cutting out during calls on the Moto X (we encountered this issue). Most commonly the Moto X owner finds that the person on the other end of the line can’t hear them. The call might start normally, but after a few seconds the owner’s voice will start to cut out for the other caller. This happens even in a strong signal area. It seems to be related to noise cancellation. Some people have reported success by firing up the Phone app and going into Settings (via three dots at the bottom right) and then disabling Voice Privacy. This bug was fixed. You should get an OTA (over the air) update that will fix this issue. You could contact your carrier and ask about it if you haven’t seen one yet. Lots of people run into Wi-Fi issues with new devices. You may find that your Moto X won’t connect, maybe it connects, but it runs really slowly, or maybe it won’t sync data. Whatever the issue, there’s usually a solution. Turn off your router and your Moto X and then turn them on again. This is rarely a permanent fix, but it might solve issues in the short term. Grab a free app called Wifi Analyzer and you can see how crowded the channels are in your area. This might indicate that it’s worthwhile changing the channel on your router. Update the firmware on your router by referring to the manufacturer’s instructions or your ISP. If data sync is the problem then try wiping your cache partition. With the phone off press and hold Volume down and then the Power key. You should get boot options and you can use Volume down to highlight recovery and then Volume up to select it. You’ll see the Motorola logo and then the Android mascot, press and hold the Volume up key and then press the Power key and you should get additional menu options in blue. Use Volume down to highlight wipe cache partition and then the Power button to select it. It will wipe and then reboot, hopefully issue-free. On your router, check if MAC filtering is turned on. You may need to enter a MAC address for your Moto X, you’ll find it via Menu > Settings > About phone > Status > Wi-Fi Mac address. We encountered this problem with our review unit. 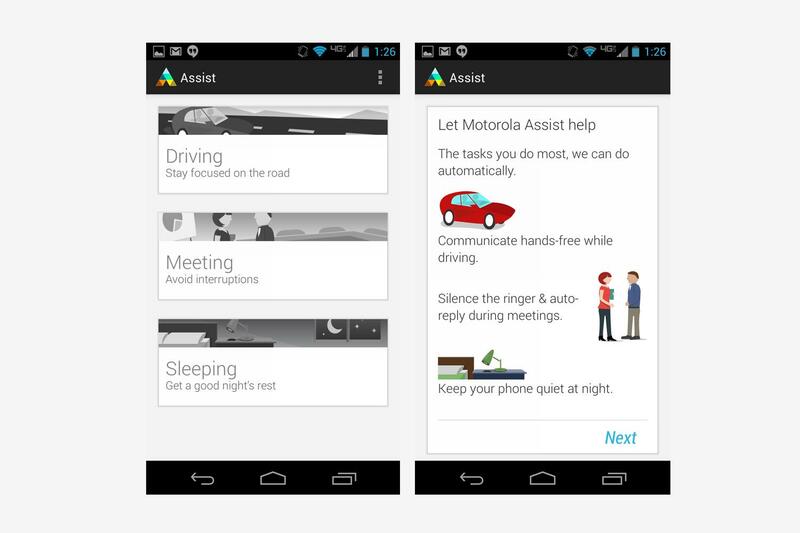 Motorola Assist automates certain actions, at predetermined times, such as when you’re driving. The problem is it uses GPS to decide if you’re driving and it may assume you are when you’re actually a passenger. When we tried to tap the “I’m not driving” option on the notification it didn’t work and the Moto X continued to read every text and call out loud for the rest of the night. 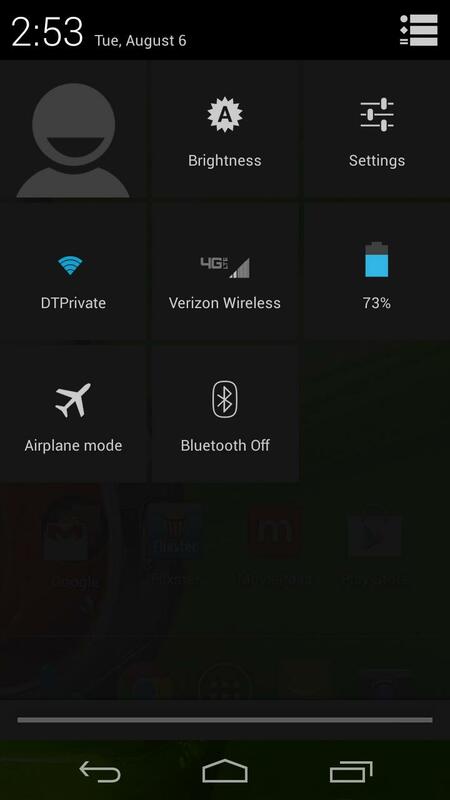 Go into Settings > Apps and disable all Motorola Assist running processes. Motorola promised a fix and you’ll need to update to get it. You should get it automatically, but you can check in Menu > Settings > About phone > System updates. Everyone complains about the battery life on their smartphone. The more you want your phone to do, the more juice it’s going to need. You can check out our how to save smartphone battery guide for some useful general tips. The Moto X can theoretically save battery life with features like Active Display, but always-on sensors have got to have an impact. Take a look in Settings > Battery for an idea of what’s eating all your power. Try using the Battery Saver feature via Settings > Battery. It will help you squeeze a little more out of your Moto X when the battery falls to 15 percent, by reducing brightness, screen timeout, and turning off background syncing. For unusually fast battery drain you might have to find a rogue app. If there’s nothing obvious showing up in Settings > Battery then make sure that everything is up to date. Go to Play Store and tap Menu > My apps and then Update all at the top right. You could also try a factory reset and be selective about what you reinstall. If that doesn’t make a difference, and you’re sure the battery drain is abnormal, then it might be worth contacting your carrier, retailer, or Motorola and trying to get a replacement. It is possible you have a faulty device. A few people have reported problems with the Moto X freezing up and being unresponsive. There have also been a few reports of random reboots. The most likely culprit is an app, but there are a few things worth checking. It won’t permanently solve the problem, but try holding the Power button down for a few seconds to restart your phone. Make sure you are up to date via Menu > Settings > About phone > System updates. Make sure your apps are up to date via Play Store and tap Menu > My apps and then Update all at the top right. Try clearing your app cache by going to Settings > Apps and swipe to the All tab. Choose any app you suspect might be causing a problem and tap on it to choose Clear cache. Try uninstalling your apps one by one to find the problem app, or do a factory reset and be careful about what you reinstall. If you still experience the problem then try to get a replacement handset because there might be a hardware fault. Some people have complained about the GPS on their Moto X not finding the correct location or being unable to update third-party apps correctly. Try going into Google Maps and tapping on the blue crosshairs and see if it can lock on your location. Try switching your Moto X off and on again or hold down the Power key and choose Airplane mode and then turn it off again. Go to Settings > Location access and play around with the settings to see what gets best results. You might need Wi-Fi and mobile network location to be on as well as GPS. Try downloading GPS Status & Toolbox and you can get some additional info. You can also use this app to reset your GPS and possibly fix it if you’re having a problem. It’s possible you have a hardware problem in which case you’ll need to get a replacement phone. Contact your carrier, retailer, or Motorola and discuss. That’s it for Moto X problems for now, but if you’ve encountered another issue we didn’t mention or you have a fix to offer fellow sufferers, please post a comment and share it.